The US FDA Food Safety Modernization Act (FSMA) has introduced a series of stringent new requirements on food transporters, who are turning to technology to enable comprehensive temperature management and compliance in their fleets. FSMA aims to ensure the safety of the food supply by shifting the focus from responding to contamination to preventing it. Published in March 2016, the final rule has been enforced since April 2017. The Sanitary Transportation of Human and Animal Food, cited in the FSMA mandate, affects those involved in the transportation of temperature-controlled foods, including shippers, carriers, loaders and receivers. The Sanitary Transportation rule introduces provisions for the design of trailers, new vehicle cleanliness standards, precooling and in-transit temperature monitoring requirements, training guidelines as well as data collection and record keeping stipulations. A comprehensive cold chain platform makes it easy for carriers to manage asset temperature with detailed reports, real-time alarms and interactive high-resolution temperature charts. With such a platform , you can continuously monitor cargo area temperature of single and multi-temperature trailers and receive alarms when conditions deviate from normal—temperature out of range, unit is turned off, low battery levels are detected and more. Look for devices that connect directly to a reefer’s microprocessor to ensure accurate temperature readings and two-way reefer control. 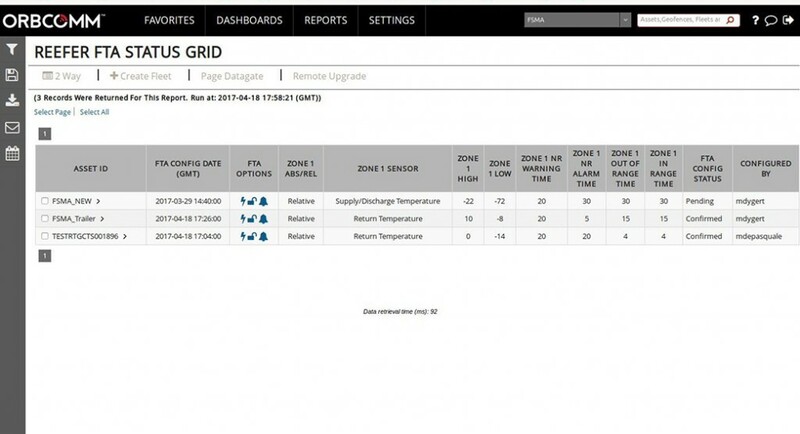 This will enable you to adjust temperature settings, turn a reefer unit on or off and initiate a Pretrip or a defrost from a centralized location. Choose a solution that sends you notifications when a reefer has reached adequate precool levels or when it fails to precool. You should also be able to configure the system to automatically send precool notifications to third parties to streamline chain of custody as cargo moves across the cold chain. 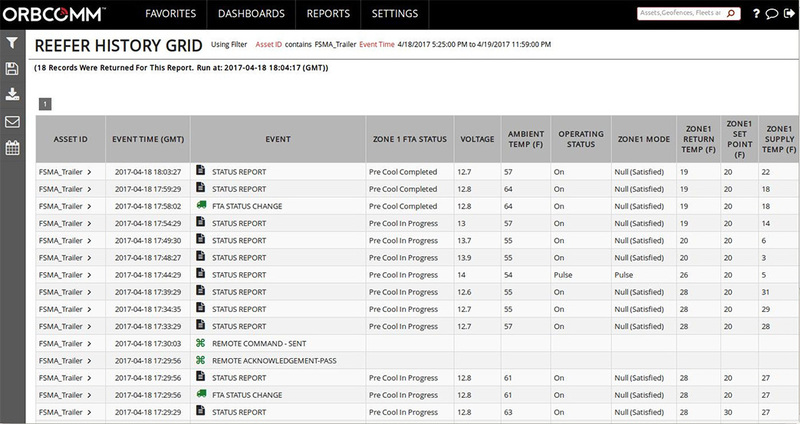 Make sure that you are able to automatically capture and store temperature records that can be quickly delivered to shippers, loaders and receivers as proof of precool and in-transit temperature compliance. 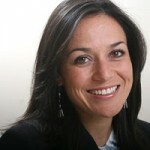 Data should be able to be analyzed through interactive charts or downloaded to PDF or Excel. Ensure that 90-day historical data is always available at your fingertips. Beyond 90 days, your system shoiuldarchive records for 12 months. Data feeds for third-party or proprietary systems should also be possible, to facilitate the seamless exchange of information. Your solution should offer a centralized, easy-to-update document repository to help you store and manage sanitation checklists, wash-out records and more. 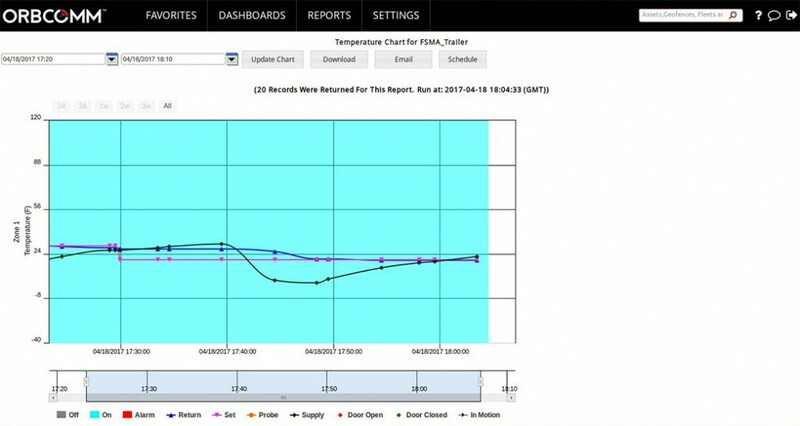 Any modern temperature management solution worth its salt will have a mobile app that makes it possible for you to manage refrigerated assets on the go. With it, you can monitor temperature and alarms, receive precool notifications and more, all from the palm of your hand. 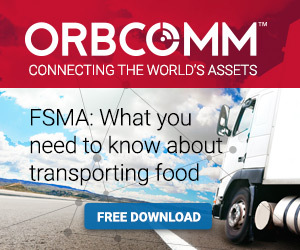 For more information on FSMA compliance, including “The Simplified Guide to FSMA for Food Transporters”, visit www.fsmaready.com or e-mail sales@orbcomm.com.